especially when you’re researching your options for things like travel, staying organized, or cooking a meal. Here are five mobile apps that are attracting a lot of attention these days. Mobile apps are wonderful for gathering information on the go, whether you’re looking for a nice place to stay, food suggestions and reviews, or entertainment for relaxing after work. Keeping up-to-date with the latest in mobile apps like these will open up a world of learning and possibilities for you, increasing tenfold the value of these on-the-go technologies. Choosing where to stay is a crucial part of trip planning. Try searching for a place to stay using a popular app like Hotel Easy Booker. This app allows you to browse photos of available hotels, post reviews about your experience, and map your course to the doorstep of the hotel of your choice. This could be especially helpful, for instance, for a weary traveller searching for any chicago hotel during a weekend trip to the Windy City. Equally helpful as a hotel-finding app, Yelp allows tourists and residents alike to search for a place to get lunch, a locally-owned boutique, and even an English pub. 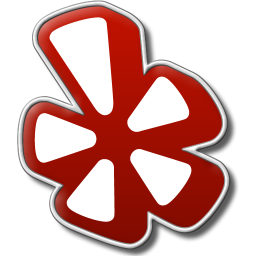 Reviews from people who have visited a location of interest will pop up, helping you easily find everything from a great sandwich to a clothing store. The app narrows down choices based on price, proximity, and hours, cutting down your decision time. Hugely popular, this app pits cartoon birds against verdant pigs who aim to steal bird eggs. The easy-to-learn and addictive game has lit up the mobile app world, allowing users to use a little physics to unlock levels and advance through the game. Whether launching a white, black, or red feathered friend into the atmosphere, games like Angry Birds will keep you glued to your phone in pursuit of points and prizes. Another really good challenging game is the PaperToss (android, iphone) just in case you’re tired of the Angry Birds. Shazam helps you identify music on the go by recording few seconds of the music playing with your phone. Whether a song is new to your ears or sounds vaguely familiar, Shazam accesses a database of songs and identifies the band, artist behind the music. No longer do you have to hear a song on the radio and try to remember the lyrics to search for the song’s name back at home. Songs can be tagged and saved for later review or purchase. Additionally, you can research a band’s history, preview music clips, and even connect to Pandora to explore other genres of music. Stopping at the grocery store can be a hassle, especially if a shopper has no idea what to grab for dinner. Epicurious is a convenient app for coming up with a meal at the last minute. You input ingredients you know you have on hand and the app goes to work, suggesting meals and desserts you can create with a little help. Like other apps on this list, you can review recipes you’ve tried, helping you narrow down your options when browsing the aisles. Find some other recipe sites with apps. Following Travel Apps Very useful for iPhone And Android and it's free for all. Premier iPhone Repair is the best iPhone 5 repair in Colorado because they offer the fastest and the most trusted way of repairing iPhones. They can bring back your phone features like it has never been damaged. They focus more on the screen concerns such as cracked or broken LCDs. The can professionally replace the screen within 10 minutes without sacrificing the quality of the resolution that only iPhone can give, a procedure that other companies cannot achieve.